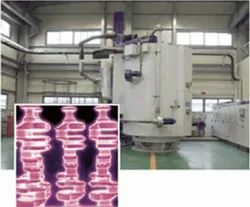 - Ion nitriding is an extension of conventional nitriding processes using plasma discharge physics. - In a vacuum, high-voltage electrical energy is used to form a plasma through which nitrogen ions are accelerated to impinge on the work piece. - Fully automatic plc / pc based control with scada package to provide recipie storage, recall for process repeatability. - Closed loop pressure control. Plasma Nitriding (Ion-Nitriding).For processing all types of finished components, mould, dies, & tool steels to induce high wear resistance. 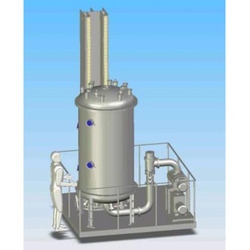 We have imported plasma ion nitriding plant. We nitride the parts of the moulds which require high wear resistance. We also undertake job work for Plasma Ion Nitriding.